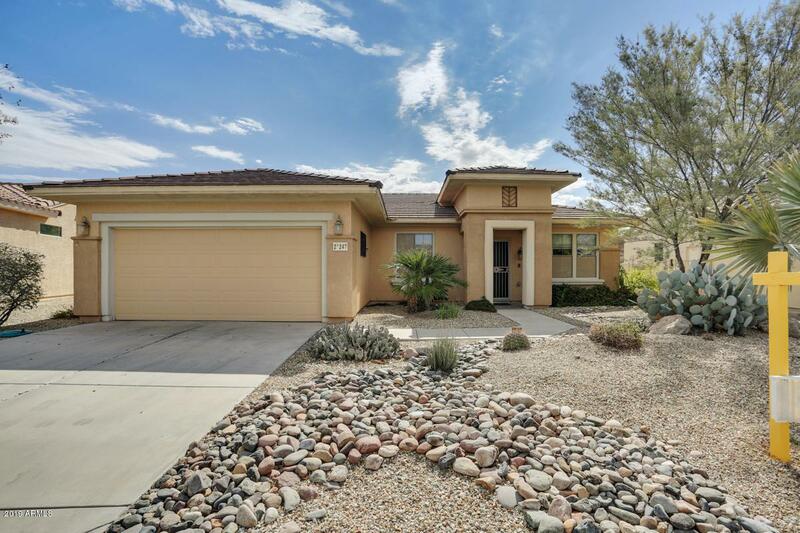 Inviting and warm Legacy model in the heart of Sun City Grand . 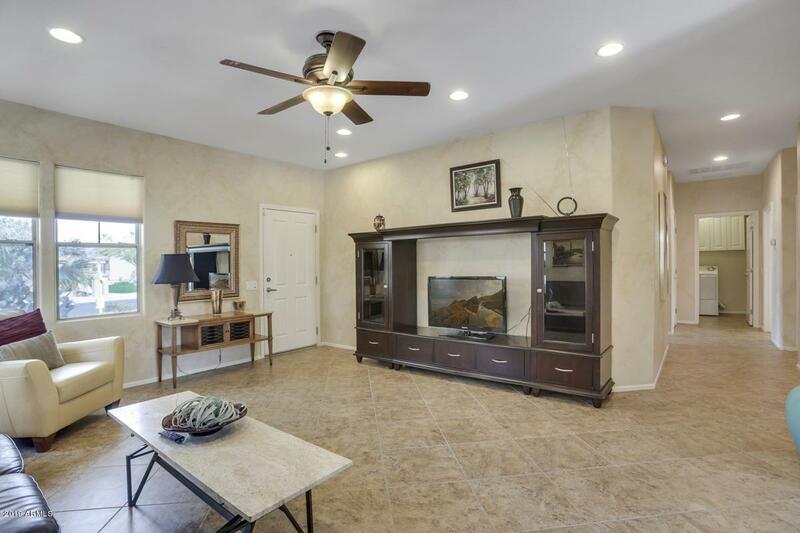 The neutral toned 18' diagonal tile, carpeting and beautiful faux painting draw you into the home. 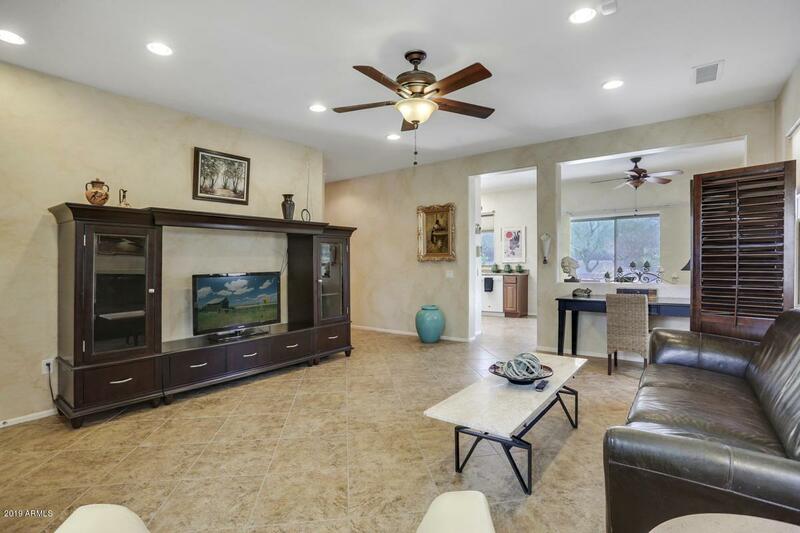 Home has honey combed custom shades , lighted fans, raised panel doors and a skylight in the kitchen providing natural lighting throughout the day. 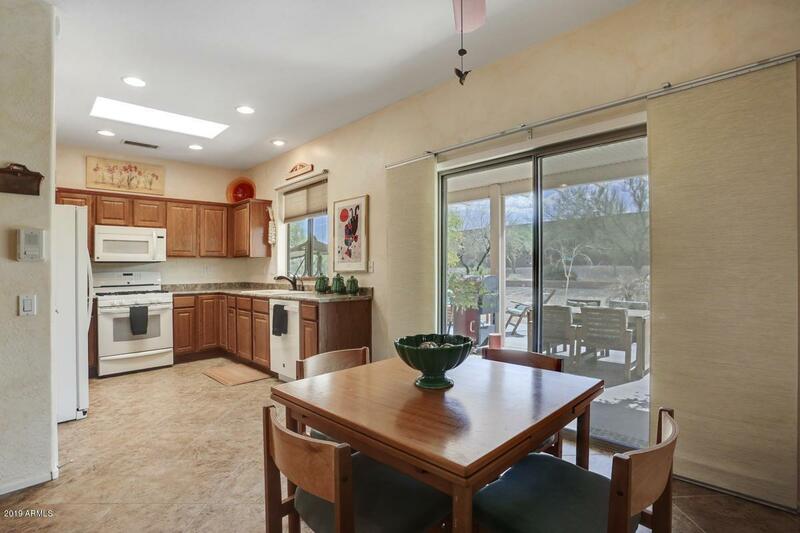 The home has a gas stovetop , newer irrigation system and soft water loop. The rear yard on a walking path is very private with no neighbors behind.